For example, the first animal is the dog. Youngsters will love the questions, especially each of the activity-type characteristics in If You Were a Dog. While not written in rhyme, the text flows nicely. The individual characteristics are ordered such that the similar suffixes following each other. Raschka’s illustrations are child-like in form, yet lively, and capture the text and the reader’s (listener’s), imagination. Young children will not only contemplate how they would act based on the given charactersitics, but are bound to come up with their own. I like anything that activates and stretches a child’s imagination and If You Were a Dog fits that bill nicely. 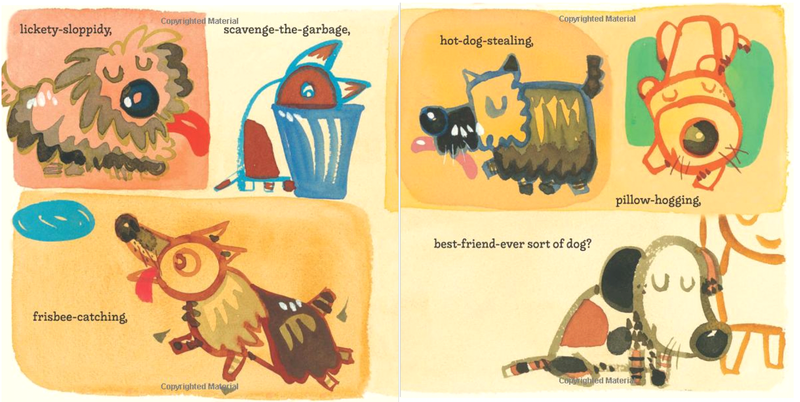 The final three spreads in If You Were a Dog acknowledge that we cannot become any animal we want, but we can imitate those around us. Besides, kids are told, the best animal to be is yourself. IF YOU WERE A DOG. Text copyright (C) 2014 by Jamie A. Swenson. Illustrations copyright (C) 2014 by Chris Raschka. Reproduced by permission of the publisher, Farrar Straus Giroux Books for Young Readers—an imprint of Macmillan Children’s Publishing Group, New York, NY. 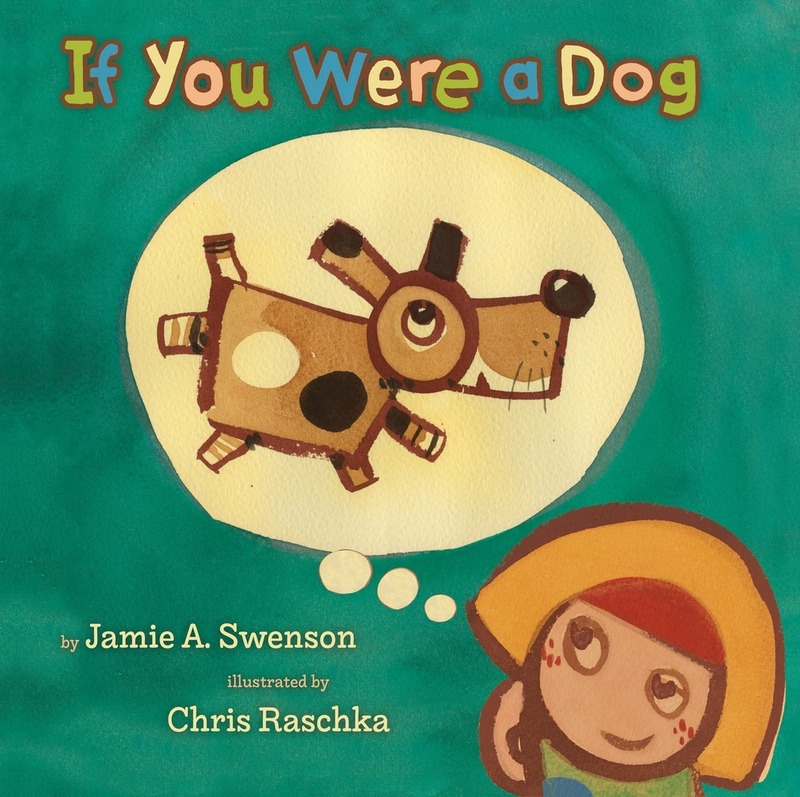 Purchase If You Were a Dog at Amazon —Book Depository—iTunes—Macmillian Children’s Publishing Group. Learn more about If You Were a Dog HERE. You can find the CCSS-Aligned Discussion and Activity Guide HERE. Farrar Strauss Giroux BYR is an imprint of Macmillan Children’s Publishing Group. What’s not to love? 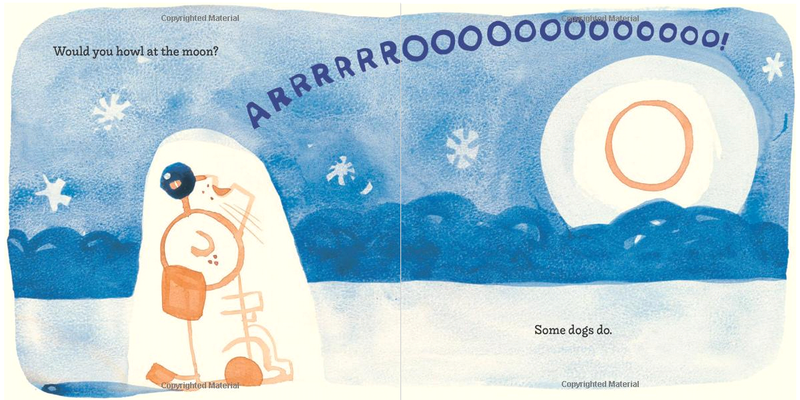 Dogs and onomatopoeias are two of my favorite things. Fun review, Sue! Mine, too. What a coincidence!! In answer to those dog questions: Yes. Yes. Yes. No. Yes. Yes. Yes. And No. I am all of those except catching Frisbees and howling.